Sunday services are held at 10.30a.m. every week with refreshments after the service on the first Sunday of each month. Open doors on Wednesday mornings from 9.15 to 12 noon is a drop-in social meeting place with newspapers, books, jigsaw puzzles, table games, plenty of refreshments and lots of chat! Come and go as you please. Amnesty for tools! We collect old and unwanted hand and power tools for the charity “Tools for Self-Reliance”. They refurbish them and donate them to help young men and women in the Third World learn a trade to earn their living and support their families….. Drop your old tools in to us on a Wednesday morning and have a coffee in the “Open doors” lounge whilst you’re there! House group meets at 3pm on alternate Thursday afternoons in a variety of different houses. We study various aspects of the Christian faith in a relaxed and informal manner with much discussion, frequent humour, and of course refreshments. Timsbury Ladies Choir meets on Tuesday evenings at 7.30pm. New members welcome. Timsbury Wives Group meets fortnightly on Wednesday evenings at 7.45 p.m. Lots of visiting speakers and trips to interesting places. 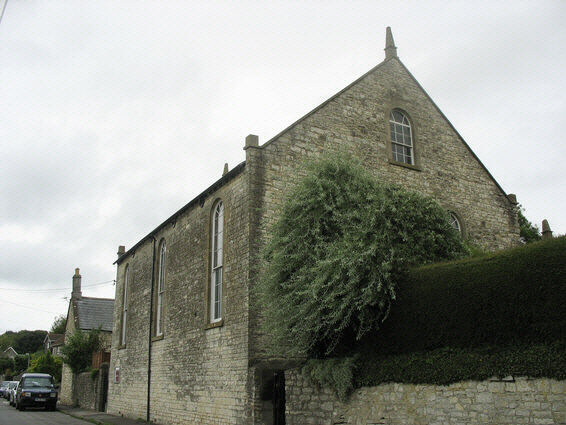 This church is the home of the national charity “Bibles for Children”, founded in 1997, to provide Children’s Bibles and Bible related material to pupils of any primary school in the U.K. Since its formation we have provided over 330,000 children in over 1,350 primary schools with their own Bible appropriate to their age, to be used in school and taken home when they leave. Bibles for Children was founded by Ted Hudson in 1997 to advance the understanding of the Christian religion through the provision of Bibles which are appropriate to their age to Primary School children. 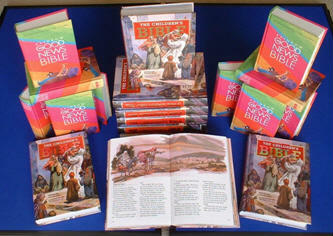 For the initial distribution to all pupils in Year 2 and upwards, the Bibles are free of charge. During its first fifteen years of operation, the charity provided Children’s Bibles to 370,000 pupils in over 1,500 schools in 125 Local Education Authorities throughout England, Wales and Scotland. The most popular book is The Children’s Bible, which contains almost 300 stories from the Bible written in simple sentences, and printed in large type with lively, colourful illustrations. A Welsh edition Beibl Y Plant is also available and is of identical design and page numbering. The Rainbow Good News Bible is suitable for Year 6 pupils and is widely used in schools with young people. It is in simple everyday language, with an introduction to each book of the Bible, with maps, charts, full colour illustrations and line drawings. Visit the website www.biblesforchildren.org.uk for more details. Work to meet the needs of those who live in Timsbury and its surroundings, and in other parts of the world. Preserve what is good from the past, and plan and work to meet the needs of the present and future. 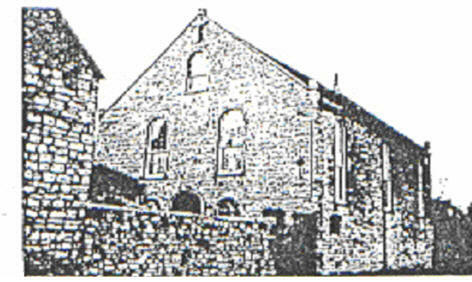 Acknowledge and worship God through regular services in the village, in the churches and the village hall. Learn how to be better Christians than we are and how to use our resources in an effective way. Support one another and share in each other’s joys and sorrows whilst seeking God’s love and peace to direct our lives. A warm welcome awaits anyone who would like to visit, explore or join in any of our activities.